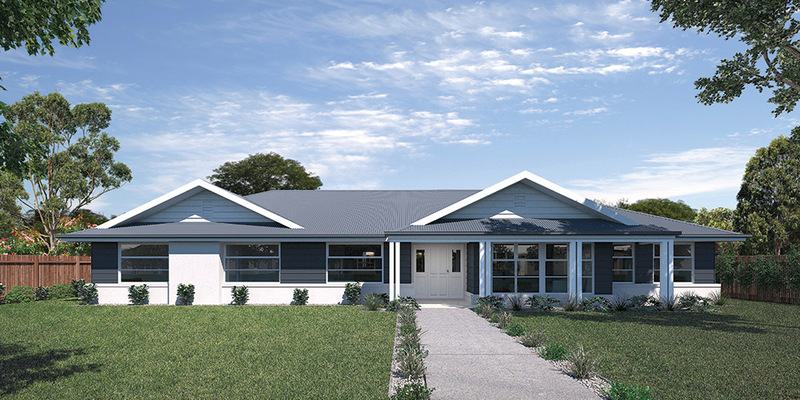 The Yering 248 is a spacious four-bedroom home complete with all the features to make everyday living a breeze. The large master suite is a true sanctuary complete with a double-sided walk-through-robe leading to the ensuite. The remaining three bedrooms can be found on the left side of the home and wrap around the rumpus and bathroom creating the perfect, private space for children. The feature of this design is the stunning kitchen, dining and family area which opens directly to a large alfresco creating the perfect blend of indoor and outdoor living. With an additional living room, walk-in study and plenty of storage space, it’s hard not to love this home. The Yering 248 is also available in an alternate version or smaller 207 sizes.